With the Trespasser DLC coming right around corner, just as they announced during the PAXPrime panel, patch 10 came out for Dragon Age: Inquisition. Which included two new major additions to the game, a wardrobe and a Golden Nug statue. The wardrobe can be found in the Inquisitor’s quarters. This was a neat little addition to the game. 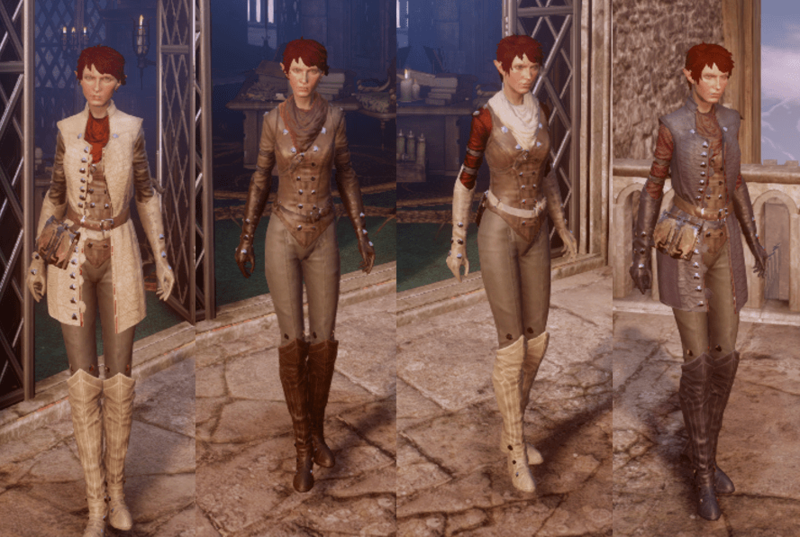 It makes it so the outfit you wear around Skyhold is customisable. Instead of the original beige coloured set you could have a full adventure outfit. Fitted with gloves, scarf and boots. 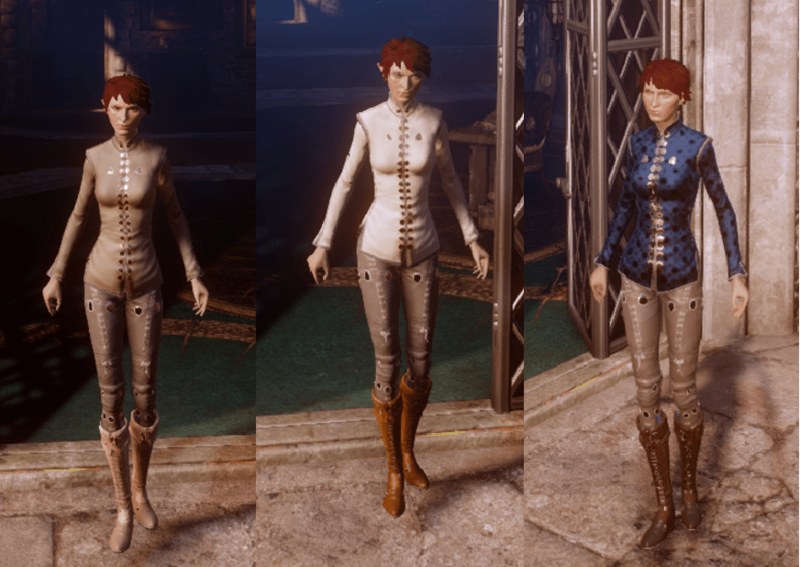 There are 12 outfits (including the original one) to choose from, they are categorised into Casual, Formal, Outerwear and Armor. 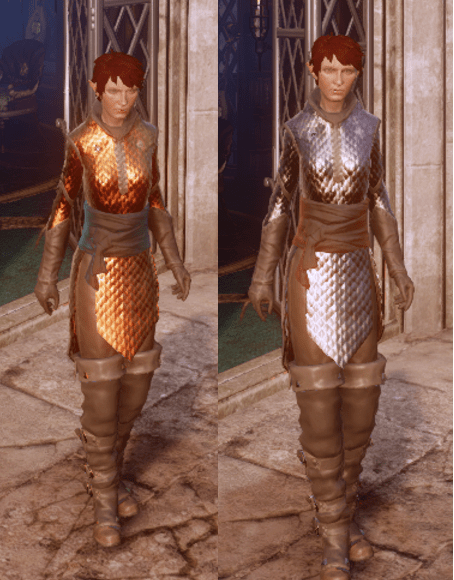 Some of the outfits have very slight changes depending on your class; warrior, rogue or mage. 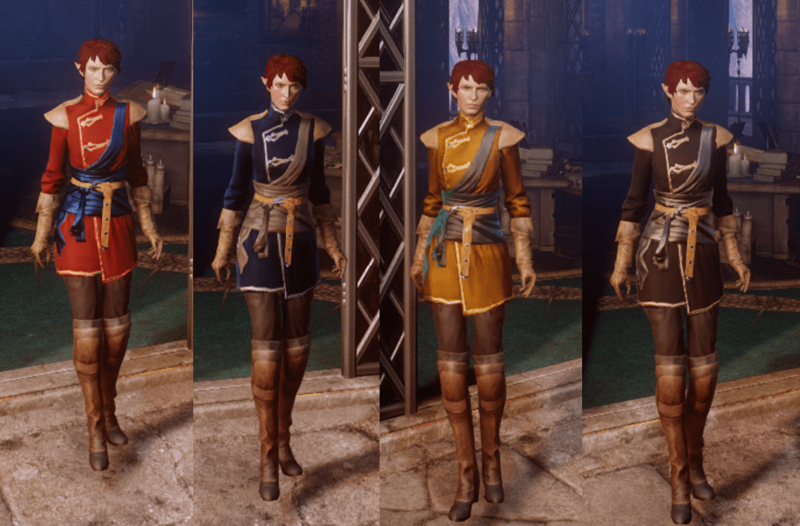 Here is what the outfits look like on my female elven mage. The Golden Nug is something completely different. It is a post-game statue that appears in the Undercroft. Laidlaw explained it as new-game plus-ish. What it allows you to do is to copy your items from a game into other games, so you go up to the nug in your game that you have perfected, but you can’t be bothered finding it all again or crafting the most perfect tier 4 armor in the next playthrough chuck it into the nug and it will share it across all your other playthroughs. You are able to collect these items in Haven. So this would make Nightmare mode that much easier. Though sadly this is only exculsive to the console that your previous playthrough has been stored on. So we are unable to transfer any items we have collected on the PC to the Xbox One, etc. Included in this patch was another multiplayer character which happens to be a Qunari Saaribas. Named Hissera she looks bloody wicked and has some pretty sweet abilities that makes her a awesome addition to the team and pretty OP if you ask me. Also another thing! The Red Lyrium Reapers Weapon Pack? Yes it is now available with this patch no need to do the mini game. Patch 10 not only included many cool additions to the game but also a whole heap of bug fixes that mainly fixed codex bugs and mission bugs. Awesome patch in my opinion, what are your opinions? Image source: Dragon Age Inquisition.